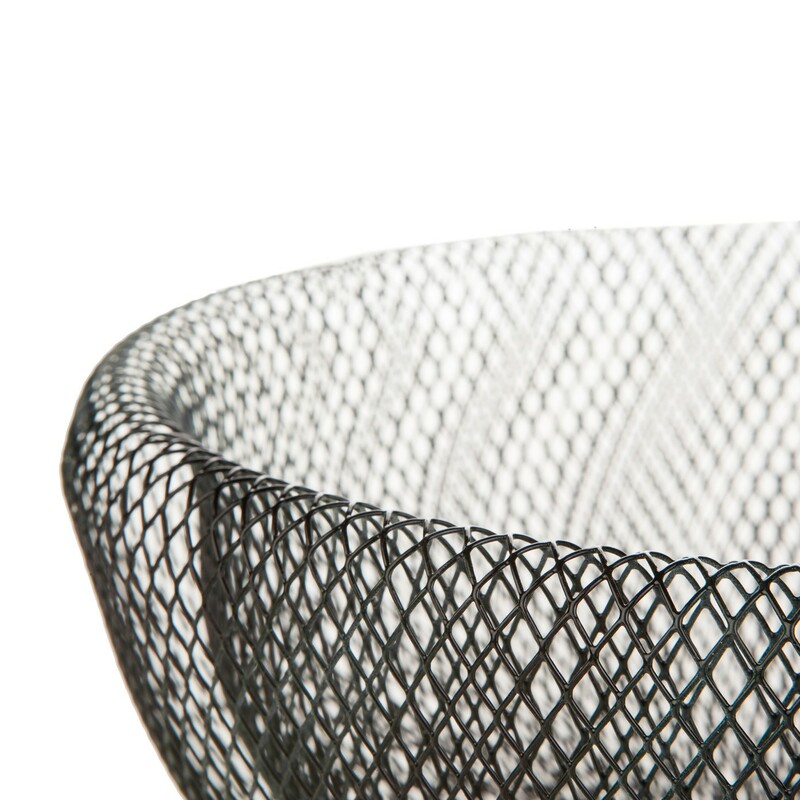 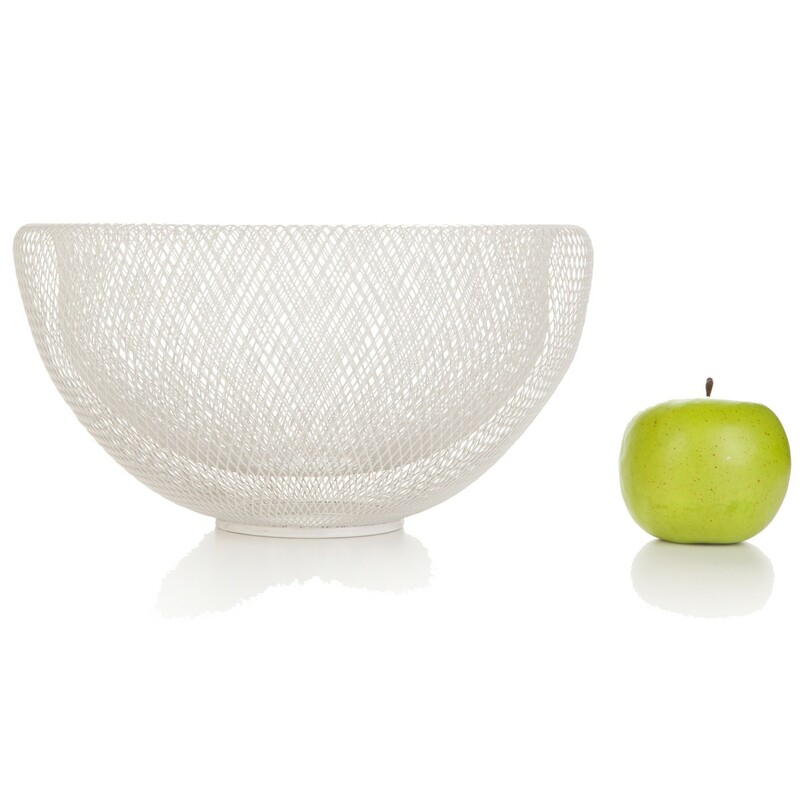 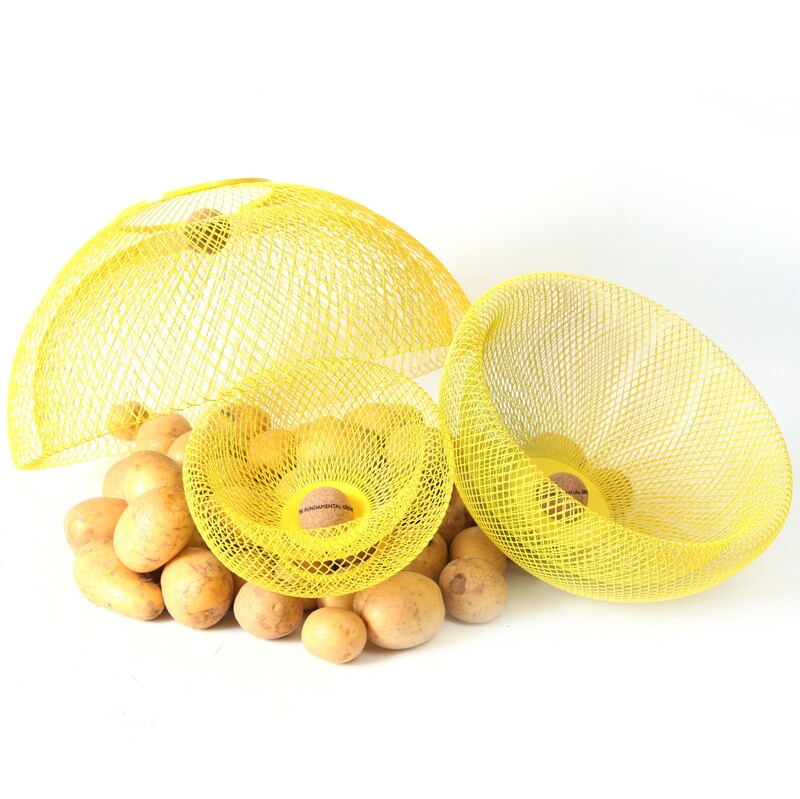 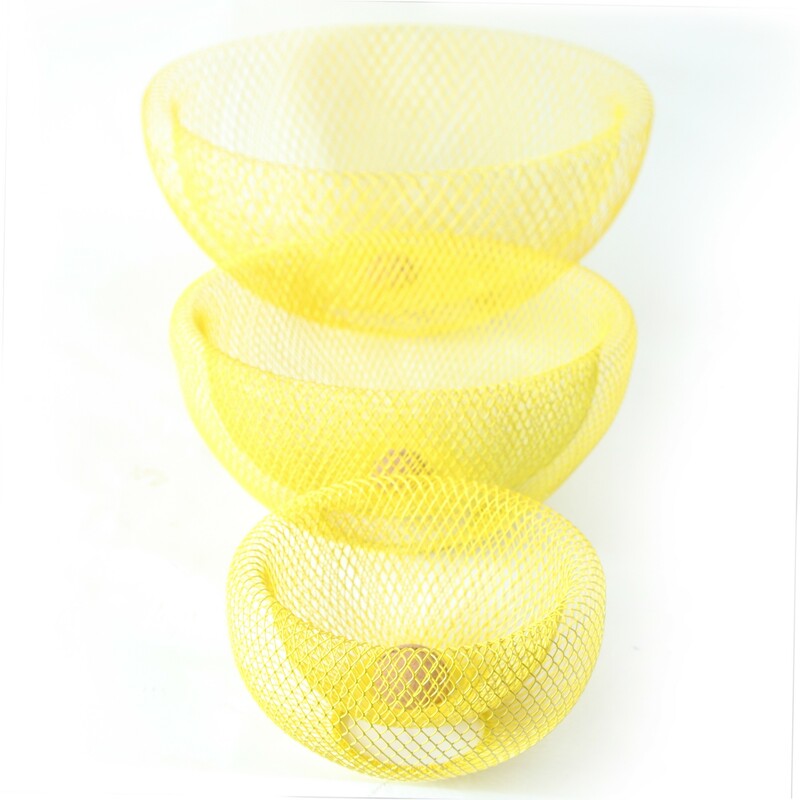 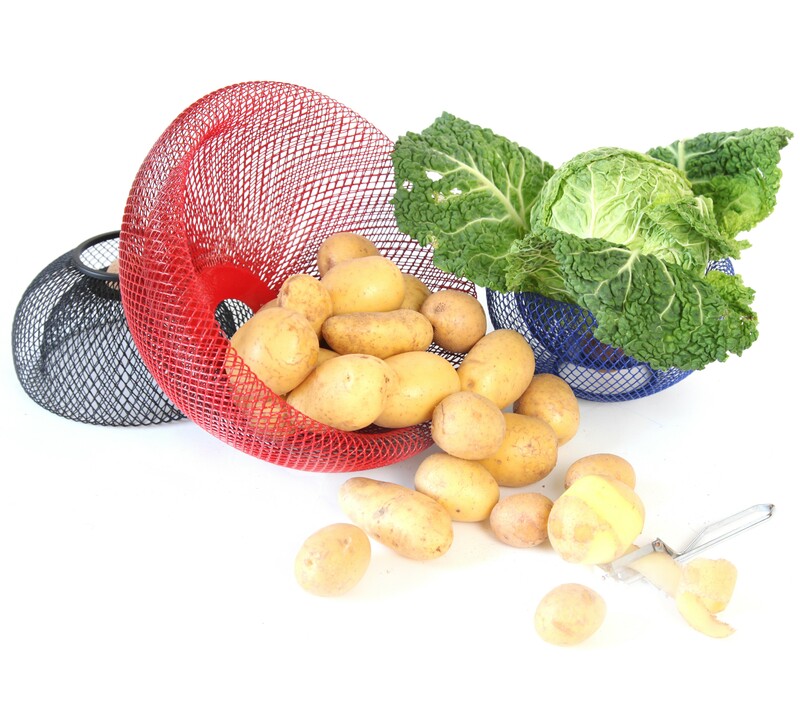 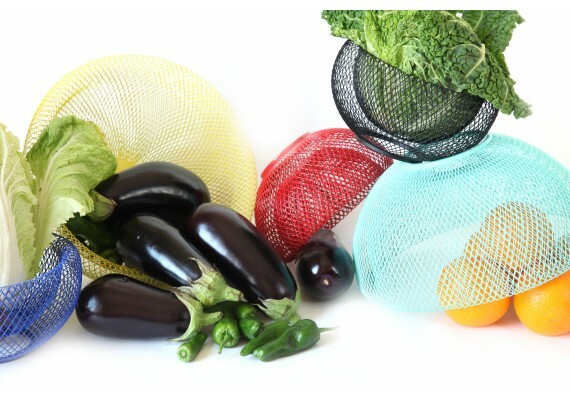 The Nest bowls are steel mesh baskets. 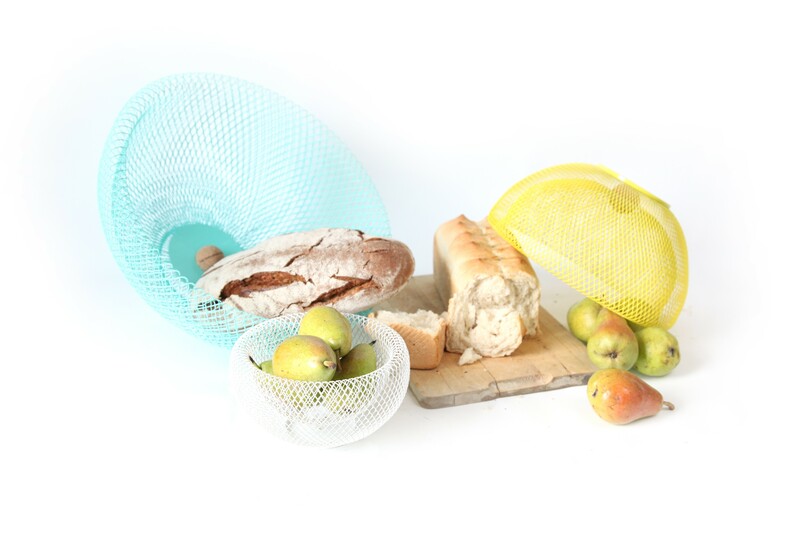 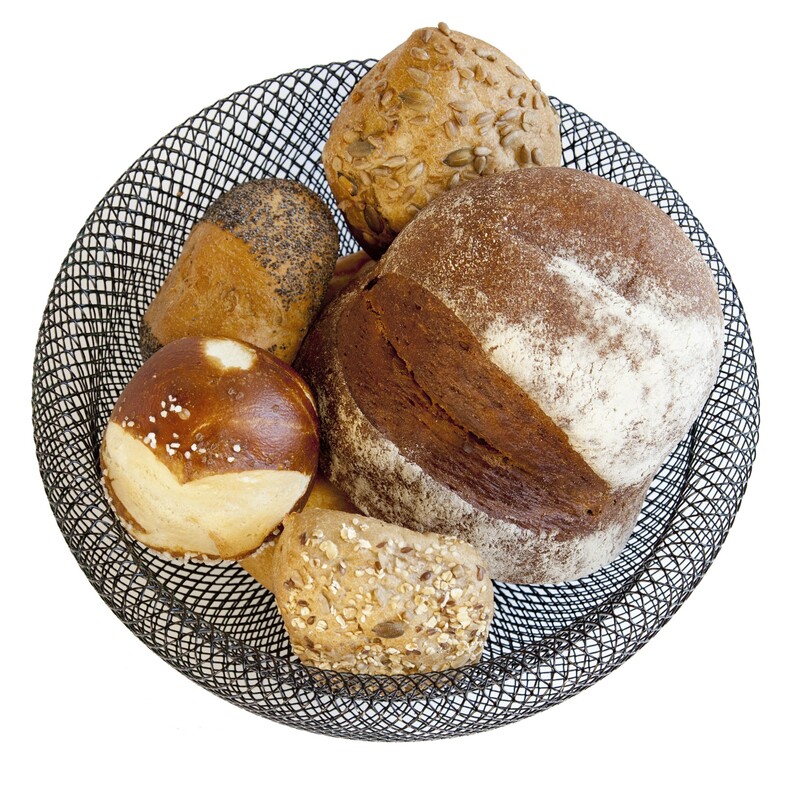 They make a perfect fruit or bread basket because of their airy structure. 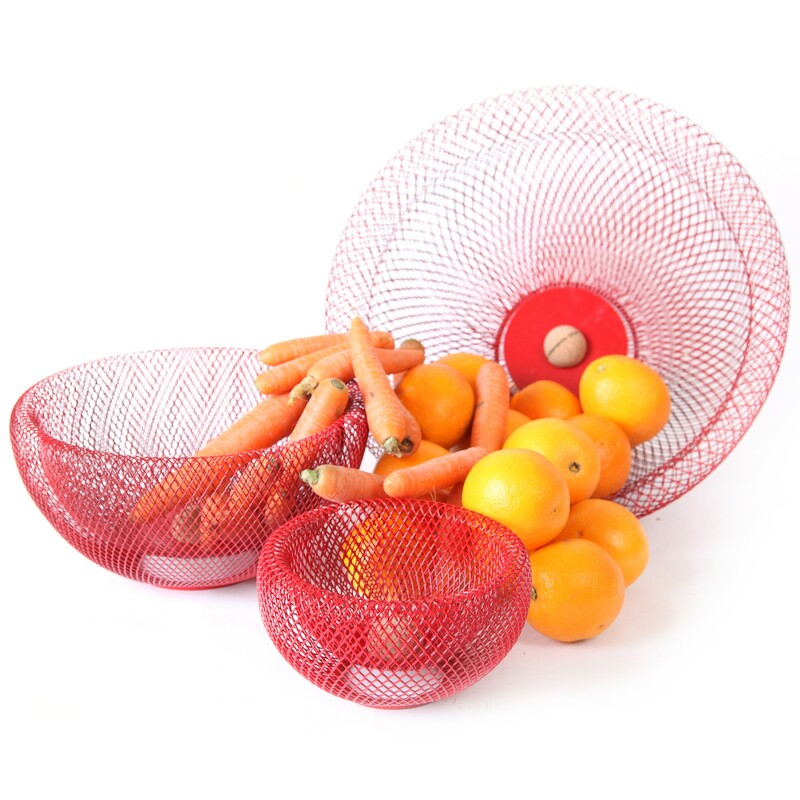 Flipped over, the bowl can also be used as a lampshade. 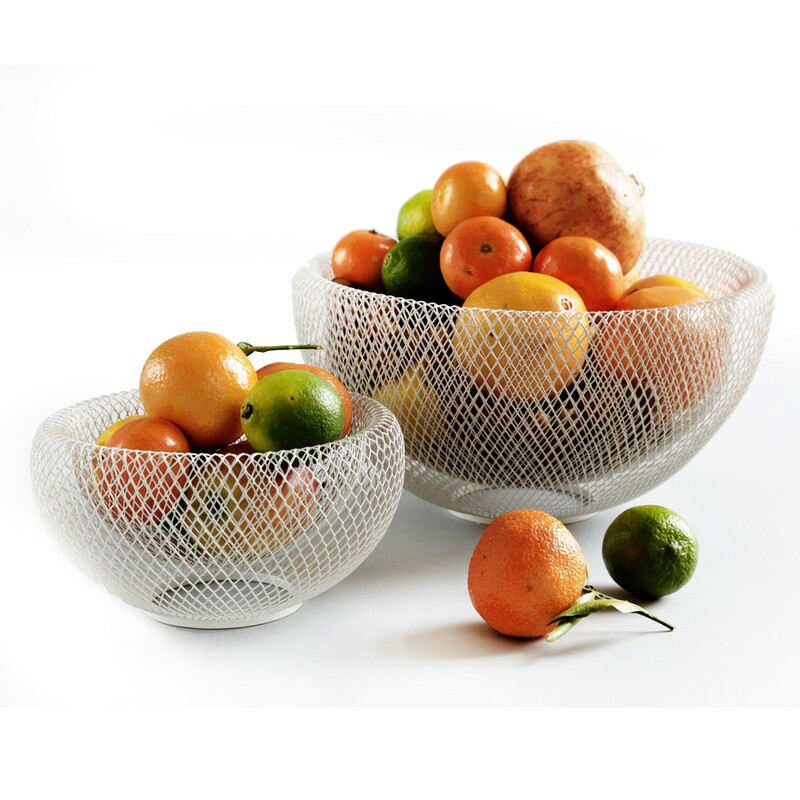 The Nest bowl is dishwasher-proof. 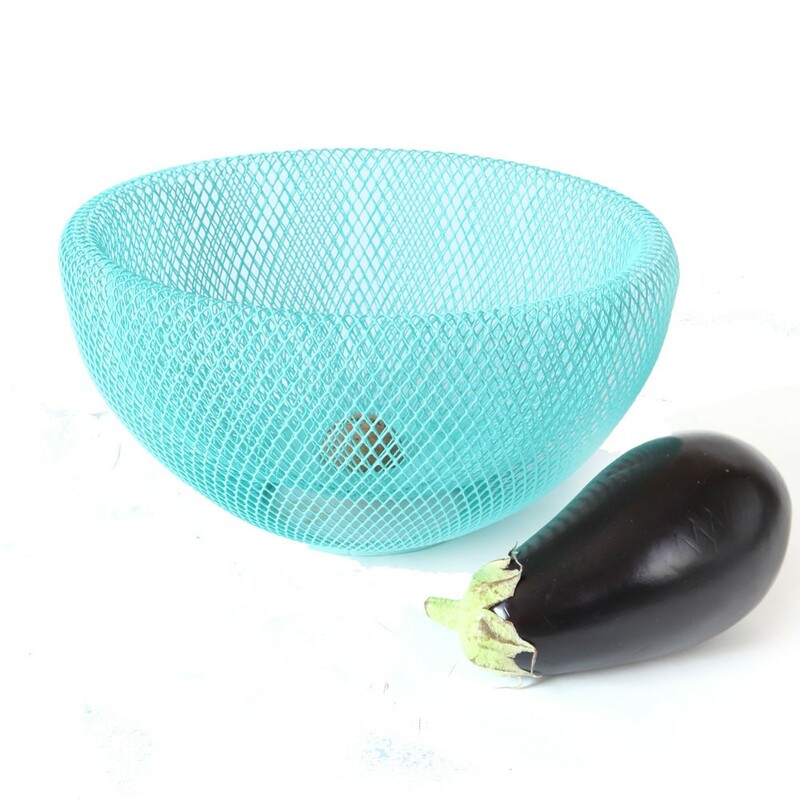 Available in various sizes and bright colours.